Nikon 18-200mm VR, attached to the world's least-well-cared-for D2Hs. Great for doing actual photography. VR is amazing. Fine for normal people; heavy shooters in extreme conditions will wear it out. The only lens most people need, most of the time. £200 or less for the most useful lens you will ever own. The 18-200mm is the most useful lens I have ever owned. 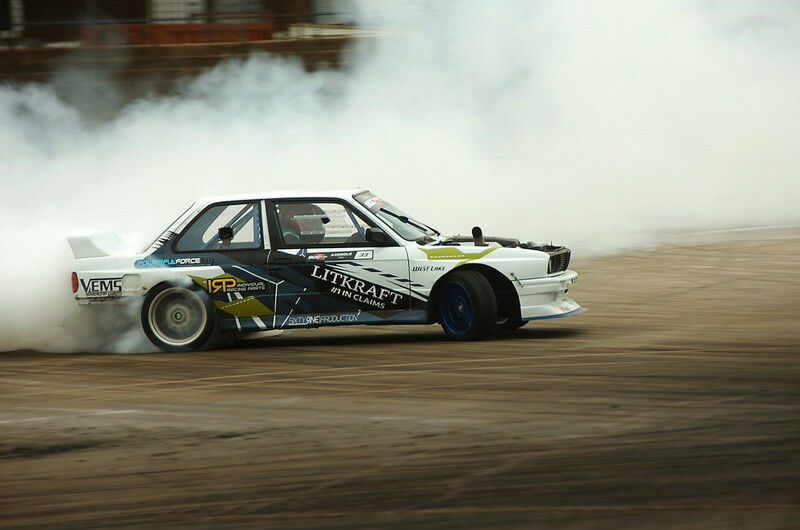 I photograph drift racing for fun, and I don't have the option of lens changes on track because of the unbelievable amount of dust, so having one lens for any shot I want to take is wonderful. I've used plenty of lenses that cover part of the range (fun, tangentially-related fact: I've broke three 18-70mm lenses out there!). Now that I've used one of these for a while, I wouldn't want to use anything else. 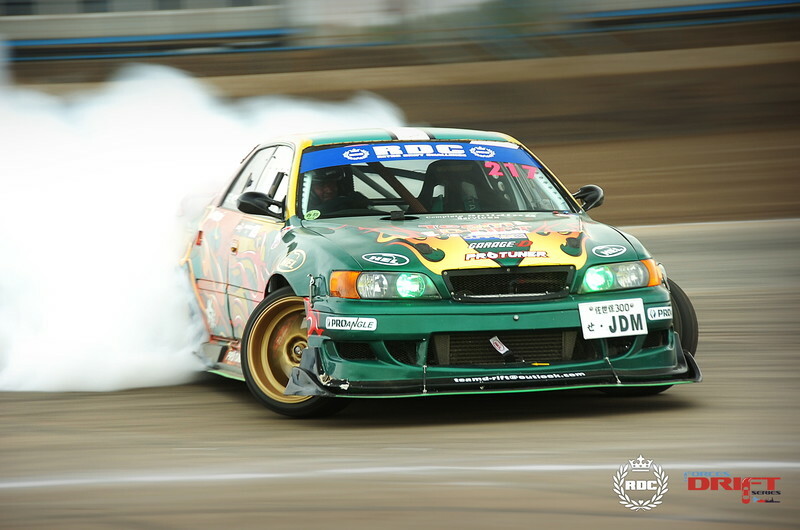 Martin Wonnacott and his beautiful JZX100, Retro Drift Challenge, 2018-05-18, shot with a 18-200mm at 105mm and f/7.1, Nikon D2Hs at 1/60 and ISO 200. 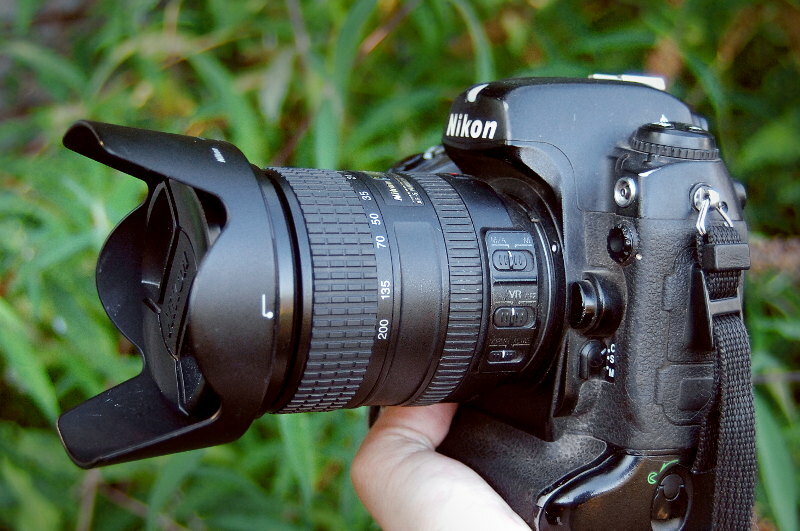 This lens works on every Nikon digital SLR, all the way back to the original D1. Even I don't have the sense of humour required to test it on an E2N, but for all I know it might work there too. Full-frame DSLRs will crop their sensors and mask their viewfinders when you mount one of these lenses. This throws away either a third (linear) or half (total number of pixels) of your resolution, depending on how you prefer to measure it. Today's cameras have so much resolution that it doesn't matter that much even for big prints, though you'll probably still want the equivalent 28-300mm for your full-frame camera to make full use of their much larger viewfinders. Abby Hannen, shot with a 18-200mm at 135mm and f/5.6, Nikon D2Hs at 1/200 and ISO 200. The 18-200mm is mostly made of plastic. This is fine, as it means it comes in at about half the weight of an 80-200mm f/2.8. If you shoot stills in sensible conditions and you look after your equipment, I'd expect one of these to last a long time. I'm not either of these, and I broke my first one after about a year and a half of heavy use. I'm not particularly disappointed by this; I know that I am pushing consumer-grade gear far beyond what it was designed to do. I love this lens so much that I replaced it with another one. Aurimas Vaskelis (!!) and his monster driveshaft-destroying turbocharged V8 E30, shot with a 18-200mm at 135mm and f/6.7, Nikon D2Hs at 1/100 and ISO 200. Under real world conditions, this lens is as good as it gets. There's a bit of softness wide-open if you contrive tests to find it, on a high resolution camera. You won't notice this if you're doing actual photography. There's plenty of distortion, if you're looking for it - predictable barrel distortion at the wide end, and pincushion at the long end. VR works fantastically. I have a mild motor problem that occasionally stops me from holding my hands still, and even during the worst of those flare-ups this lens never fails. Don't use the "ACTIVE" mode unless you know you need it - if in doubt, test it under your conditions. I'm too cool to read manuals, and I originally thought my 18-200mm was awful; after reading the manual I realised that you should never use it for panning shots, which is most of what I do on digital! 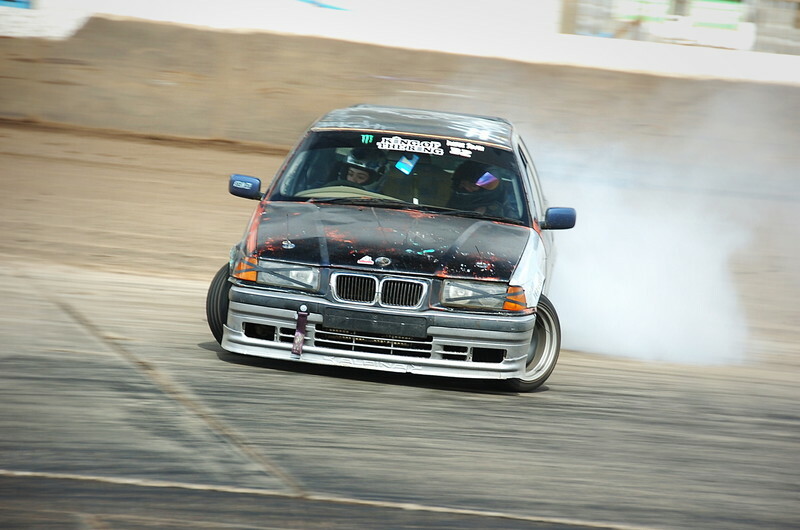 Joao Matos and his very angry M3-powered Compact, shot with a 18-200mm at 20mm and f/3.5, Nikon D2Hs at 1/200 and ISO 220. If I paid attention to the manual, I would have used "ACTIVE" VR mode for this photo (which was shot blind from a moving car), but I didn't, so I didn't! Autofocus is super-fast and always accurate. 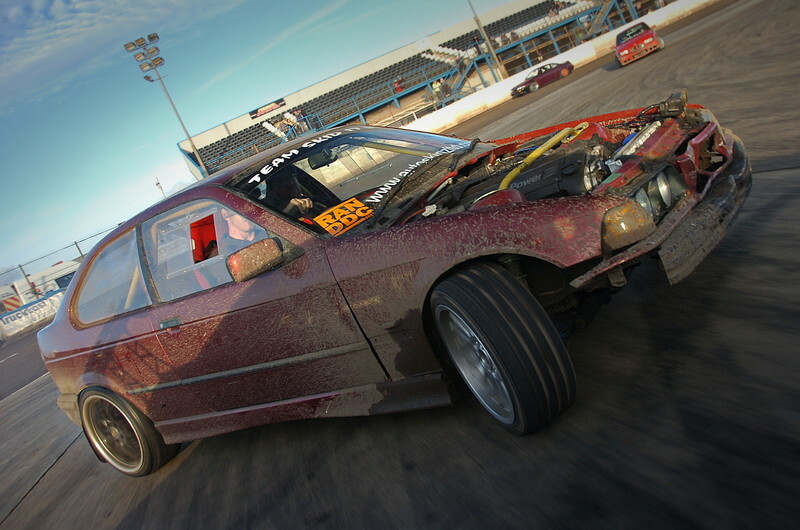 It has no problems getting perfect focus at 8 frames per second photographing drift racing at close range. For more conventional photography – which even includes most motorsports photography shot from a distance – it's indistinguishable from being instant. Pew pew pew! 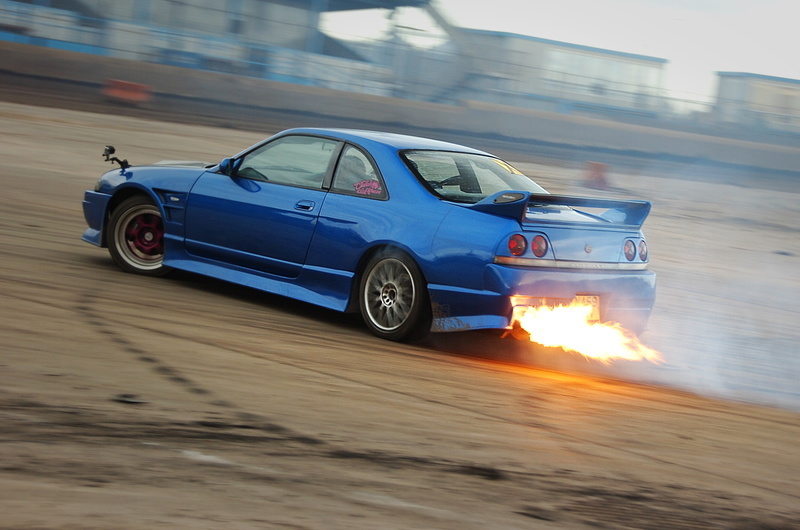 :) Peter Frary and his R33 doing the classic RB25 flame-thrower thing, shot with a 18-200mm at 56mm and f/4.8, Nikon D2Hs at 1/80 and ISO 320. For people who shoot in daylight, this is the most useful lens you can own. You won't regret getting one. I don't regret having owned two of them! You're not me and your priorities may differ from mine, but this and a little fast 50mm for low light are the only two lenses I need. I've not used the 18-300mm yet, but I'd expect it to be roughly as good, for somewhat more money. I don't need the massive 450mm-equivalent range of the 18-300mm, so for me they are the same lens, and the 18-200mm is cheaper. I have the original 18-200mm VR. A few years later, Nikon released a second version of this lens. It is the same lens, except version II has a zoom lock. If zoom creep while being carried bothers you go for the II version. If not, there's no difference; while the original tends to sell for slightly less used, go for the II version if you're lucky enough to see them at the same price. The 18-55mm VR and the 55-200mm VR are both incredible lenses for almost no money. If you are on a tight budget and don't mind lens changes, you can buy an 18-55mm and a 55-200mm for about half the price of this lens if you play your eBay cards right. Both lenses combined weigh about the same as the 18-200mm. Both the 18-55mm and 55-200mm have slower autofocus than this lens. I don't have the option of lens changes, and I'd prefer to not have to choose between long and wide shots, so for me the 18-200mm wins. On the upside, both the 18-55 and 55-200mm are, interestingly, more durable than the 18-200mm; they have simpler autofocus mechanisms that do not get sad when dust is ingested like the 18-200mm does. I've owned big pro f/2.8 telephotos in the past, and I hated using them. I spend a typical eight hours nearly without interruption on track when I use digital cameras, so the extra weight of the big pro f/2.8s hurts. The 18-200mm weighs less than half of the pro f/2.8 lenses. If you really need an f/2.8 aperture, then of course you'll need an f/2.8 lens, though modern cameras (none of mine!) have such incredible high ISO performance that very few people really need f/2.8. You'll only buy a pro f/2.8 once, while if you shoot heavily in extreme conditions you can expect to own multiple 18-200mm lenses over the course of a few years. The pro lenses are built like tanks. I'll live; the flexibility, low weight and fun I get from the 18-200mm more than makes up for having to pick up a new one every now and then. Nikon's page for the II version of this lens, and their manual. Review by a real photographer. Ken (pbuh) goes into a lot of detail.